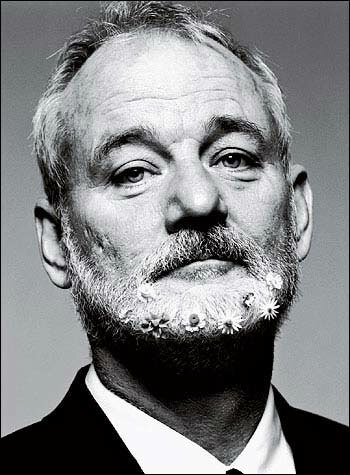 Tonight (Tuesday the 21st) the Shadowbox is honoring comedy great and local favorite, Bill Murray. The former SNL cast member will be turning 60 years old today. Bill Murray gained his unique fame in Roanoke while filming “What About Bob?” at Smith Mountain Lake. While filming Murray made an appearance at a fundraiser for the Grandin Theatre tugging at the heart strings of Roanoke film fans. Since then Murray has returned numerous times to our city whether its just passing through or spending time at the lake where he first met our small city. Speaking at the Shadowbox will be beloved former Grandin Theatre owner, Julie Hunsaker who will be speaking about her experience and memories of Bill Murray while filming “What About Bob?” at Smith Mountain Lake. The showing starts at 8pm, there will be cake and party hats too! Wednesday (9/22) Blacksburg’s college radio station WUVT will be featuring Ike As In Dwight member, Maya Renfro. WUVT’s “The Local Zone” will be hosting Maya live in the studio where she will be playing a slew of original songs as well as songs from Ike As In Dwight’s latest E.P., Nature Of People, People Of Nature. To listen to the show live and online go HERE. Or if you’re in the Blacksburg/ Virginia Tech area tune into 90.7FM. The show will air from 7pm til 9pm. 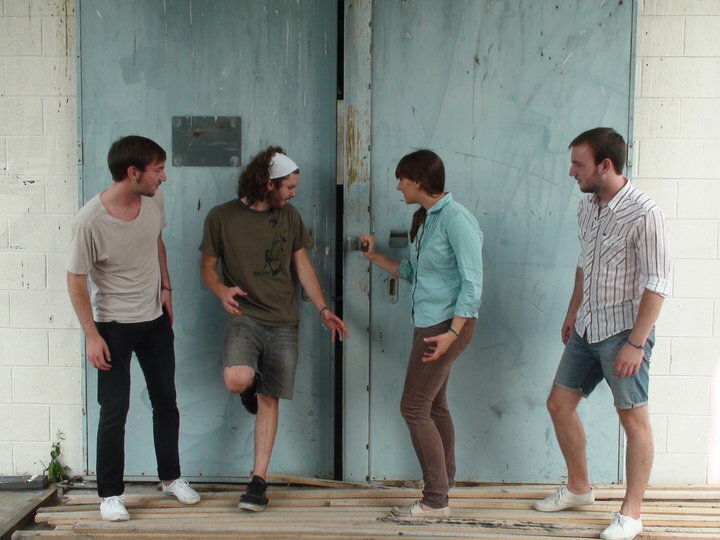 On Friday (9/24) the Bazaar will be throwing a show featuring Alaskan singer songwriter Marian Call. 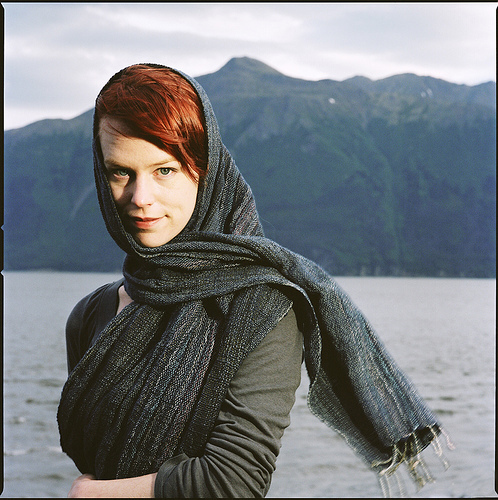 Marian is on tour from her native Anchorage, Alaska and heading down the East Coast in support of her latest album entitled Vanilla. The songster has been compared to Joni Mitchell and Regina Spektor and has been known for playing great intimate shows. To check out songs and press go to her site HERE. This show starts at 9pm and will cost you only $5, very cheap considering how far she has come to play for you! All this month and into late October local artist Stephen Smith will have selections of his collection on display at Mojo Cafe on Brambleton Ave. Smith, who’s medium is paintings made through his PC’s MS Paint program, has amassed quite a collection through the years. Come by Mojo’s, grab some coffee, play some scrabble and check out Stephen’s digital art! 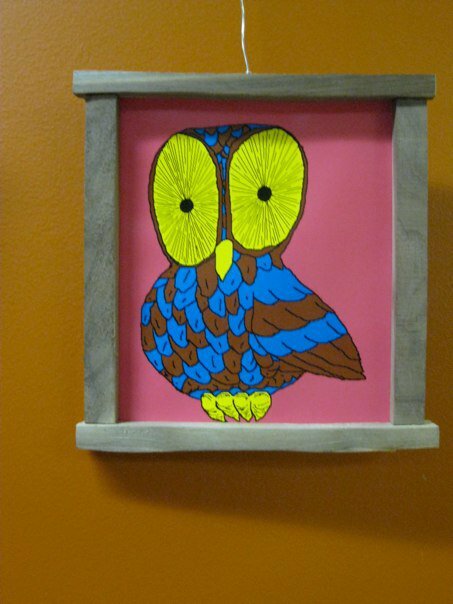 All pieces are for sale, just like his piece aboved entitled Hoot, $12. This exhibit shows until the 26th of October. The Bastards Of Fate just wrapped on shooting a music video for their single, “Huge Magic”. Doug and the gang spent a day and half worth of shooting with touch ups included. Above is just a single shot of all the madness that occurred. We will give you more details on its completion as it comes. 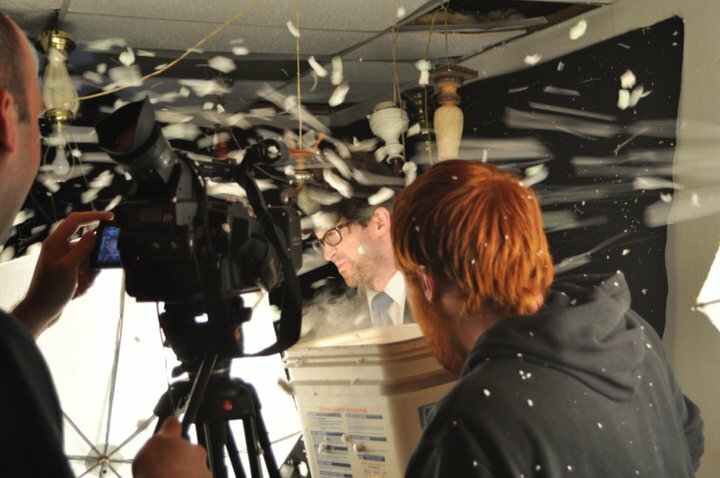 What we can tell you is there were thousands of packing peanuts involved, the clean up had to of been a lot of fun. The Bastards will be playing the Guerrilla Playhouse at Studio Roanoke this Sunday (9/26) at 8pm. Following the Bastards’ performance will be a short play by Ben R. Williams entitled “Gentlemen of the First Water”. Studio Roanoke is located on Campbell Ave. in downtown Roanoke. 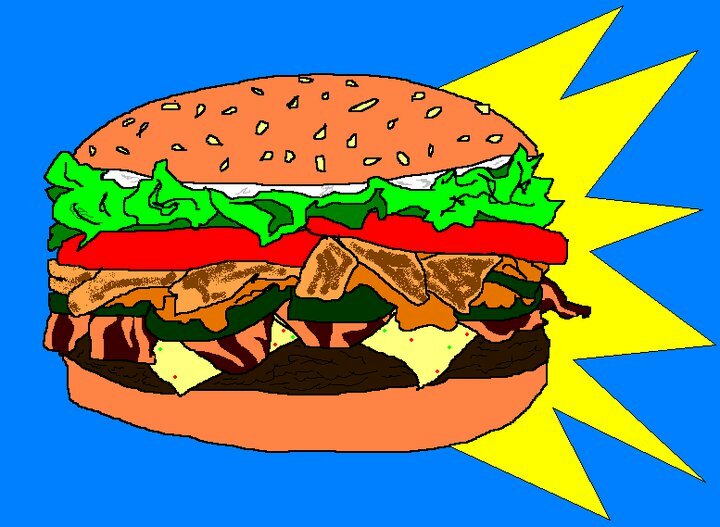 This entry was posted in Art, Cinema, Music and tagged Bill Murray, Ike As In Dwight, Julie Hunsaker, Marian Call, Maya Renfro, Mojo Cafe, MS Paint art, Smith Mountain Lake, Stephen Smith, The Bastards of Fate, The Bazaar, the Grandin Theatre, The Shadowbox, What About Bob?, WUVT. Bookmark the permalink.